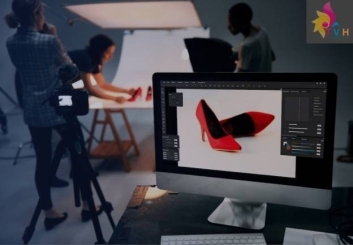 To enquire how much customers are interested in your products, using this question form will connect you with your potential customers through their questions. Administrators are easy to manage topics, questions and answer with basic functions like add/edit/delete/approve/ disapprove/pending and feature a question/answer as they want. 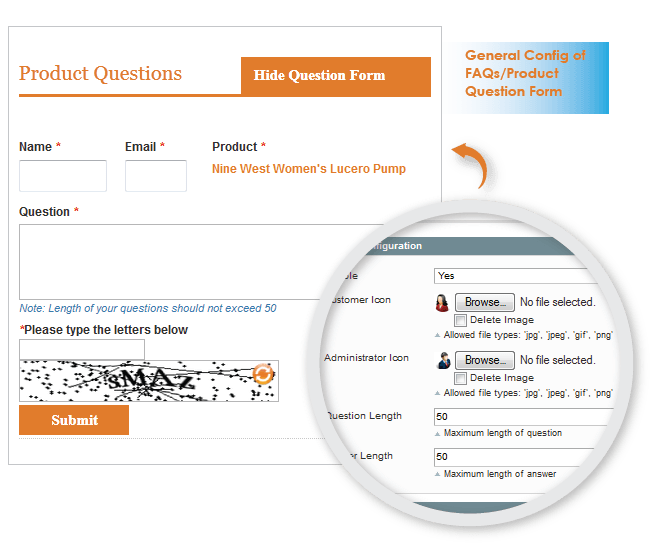 There are two kinds of questions to this extension: FAQs and product’s questions which can be created accordingly. 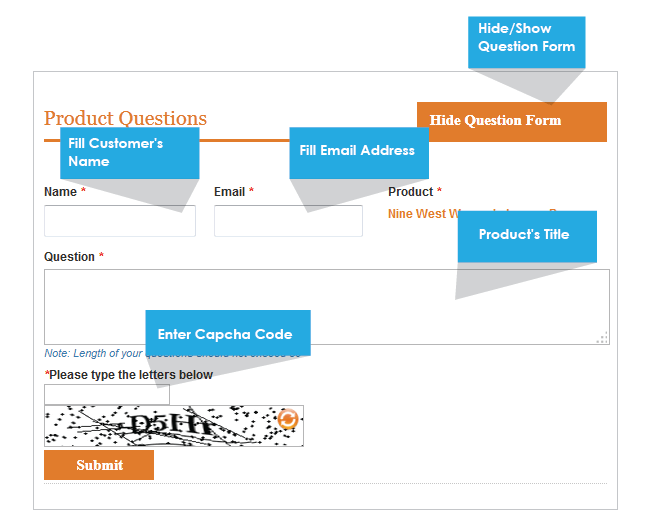 To enquire how much customers are interested in your products, using this question form will connect you with your potential customers through their questions. Besides submitting a question, a person can answer any question on a product and/or rate a question or answer that they like. 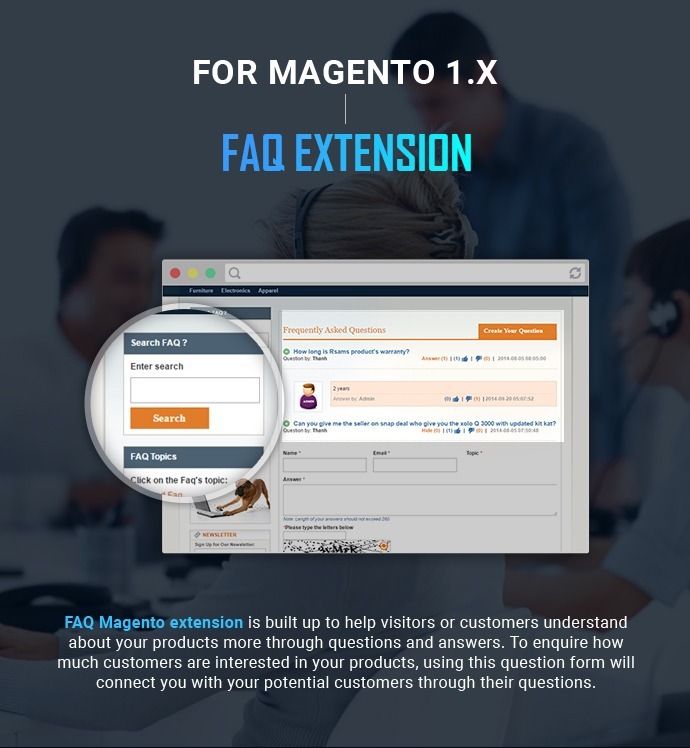 FAQ Magento extension is created to help your site close to customers. The time frame for creating a question and answer is available with the product’s title and the author’s name. The extension allows setup comments’ status in the backend. The customer can save a huge time to understand products and providers. 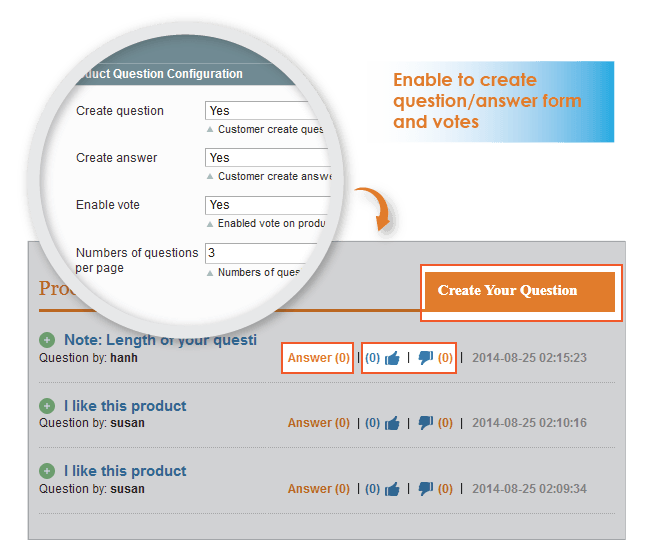 First, go to product detail page, you can create your own question by clicking “Create Your Question". Next, search a keyword to find a question in the FAQs list at the Search FAQ?" tab or find out featured FAQs topics at the “FAQ topics" tab. Then go to click "Answer" to give a reply a question. In this step, you need to fill full mandatory information (name, email, and question). Enter captcha code and then click "Submit" button to finish this step. 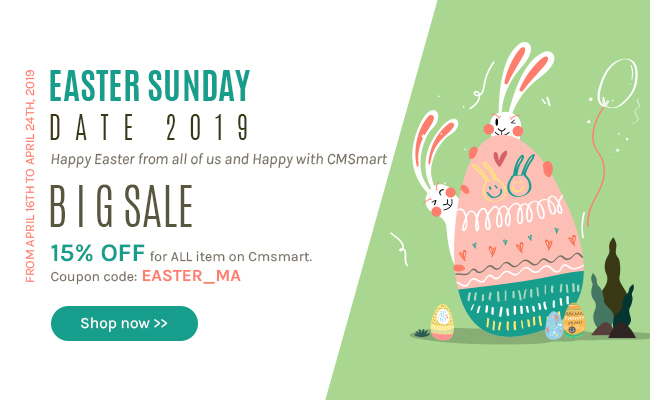 Step 2: Enable this extension: Go to System >> Configuration >>CMSMART EXTENSION>> FAQ + Product Question. Choose "Yes" then click "Save Configure". 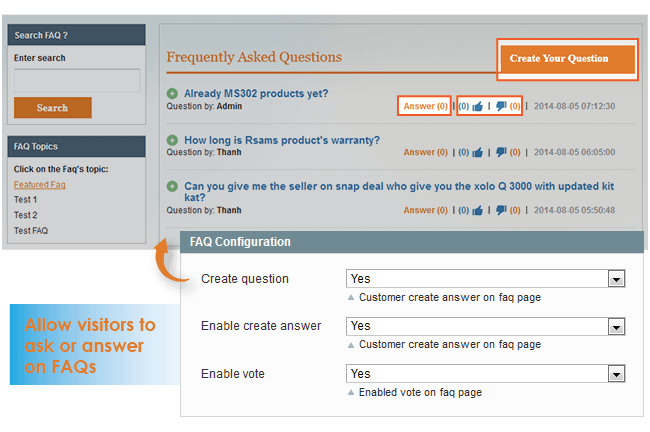 Step 3: Product questions management: Go to FAQ + Product Question >> Product Questions Management >> Questions >> Click Add questions, then setup as you want. 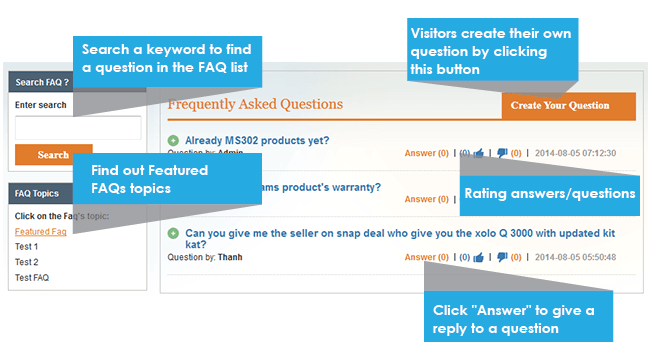 Step 4: FAQ management: management: Go to FAQ + Product Question >> FAQ management, then choose topics or questions or answers to setup as you want. 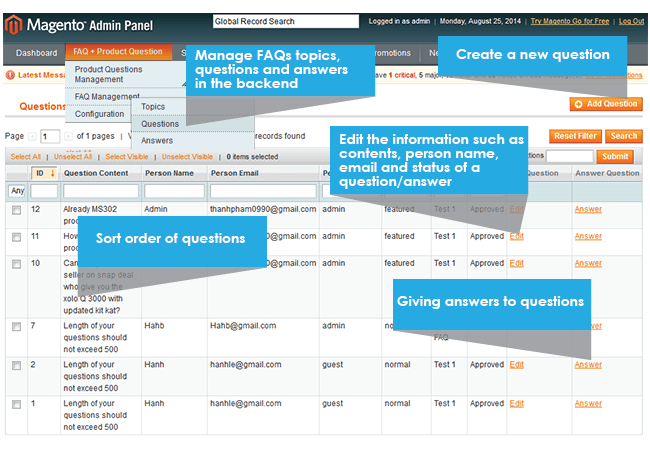 Admin can manage topics, questions, answers, approve, and add, edit, delete questions/answers, mark questions / answers featured. 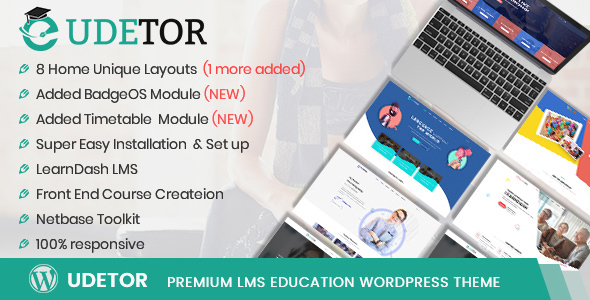 this is another great extension that saves you having to answer the same questions over and over again, this cut my enquires down by 50 percent, letting me get on with running my business. hello, would be great if this extension is made for virtuemart. Think you can do it?